Another assignment to build my paleo portfolio. I wanted to do more prehistoric mammals, and I always loved smilodons. 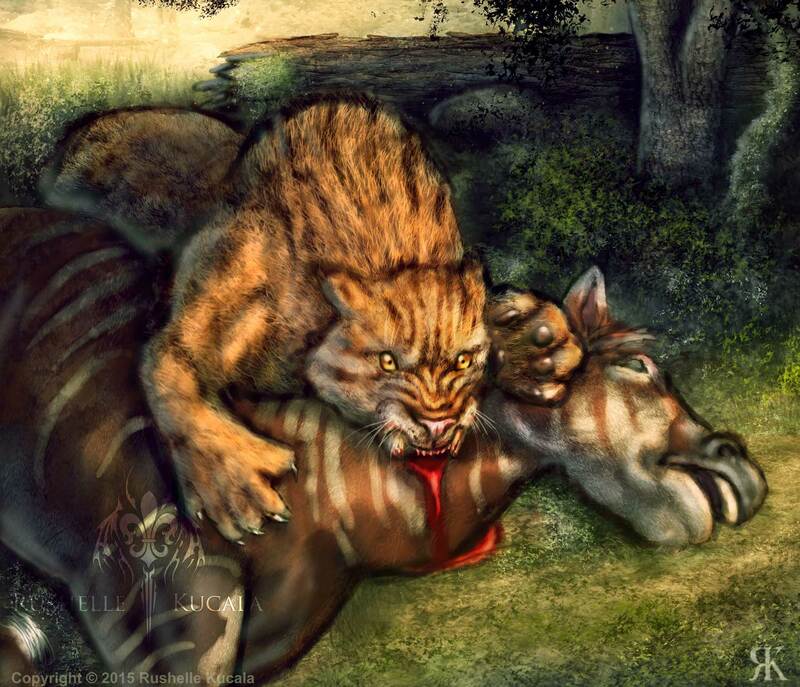 So here's a smilodon making a meal out of a hipparion.